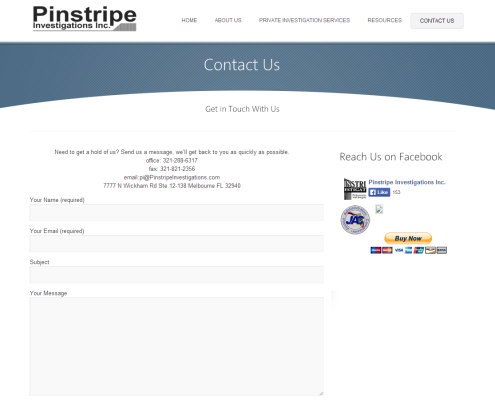 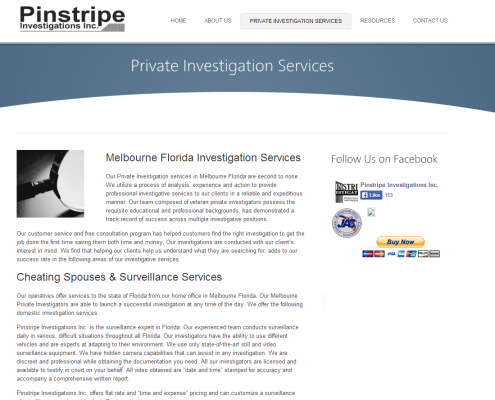 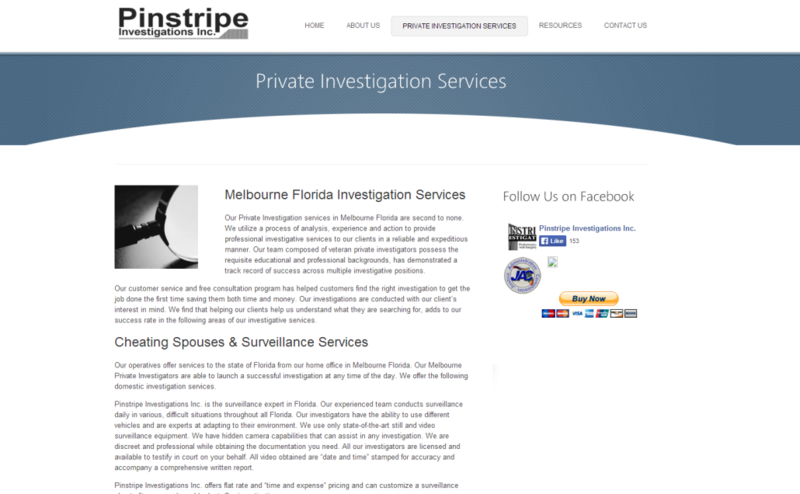 Pinstripe Investigations is a Melbourne FL private investigations agency services all of the Sate of Florida. 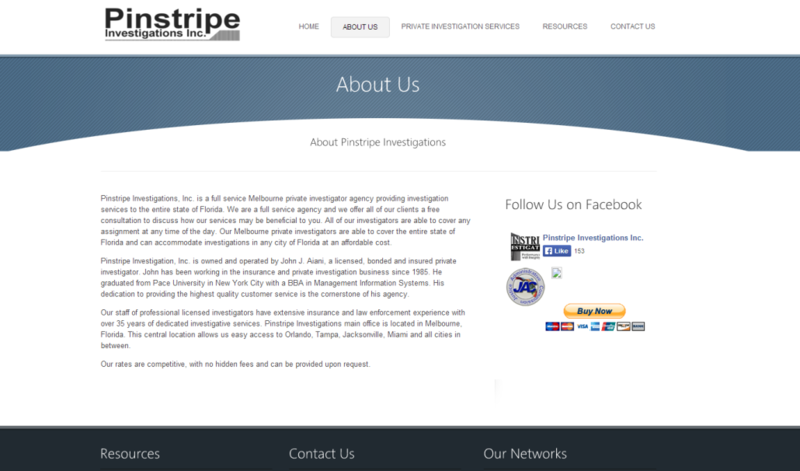 Prior to coming to Investigator Marketing, Pinstripe Investigations had a very low presence online. 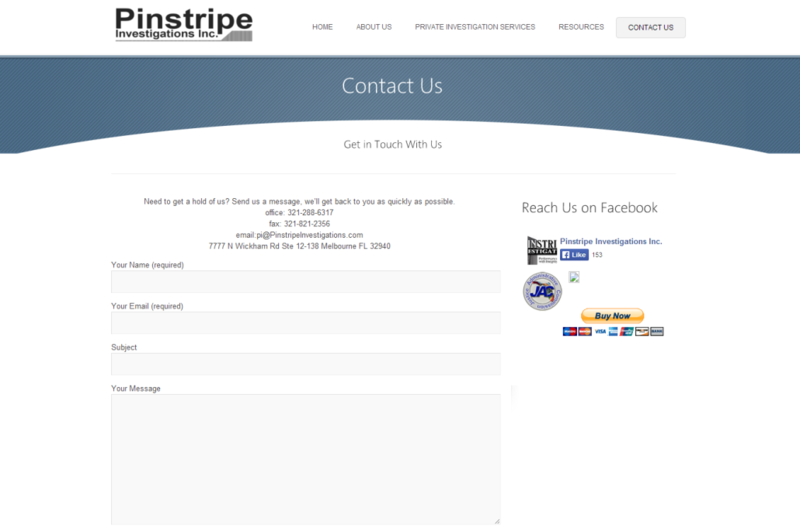 It used a free template from a website builder and had all of their information on one page. 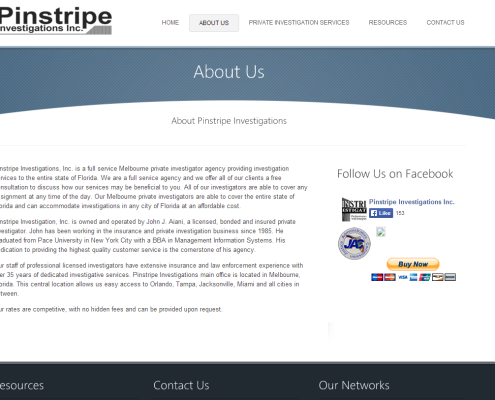 Their website was not optimized and they were slowly dropping in Google rankings due to outdated search engine standards. 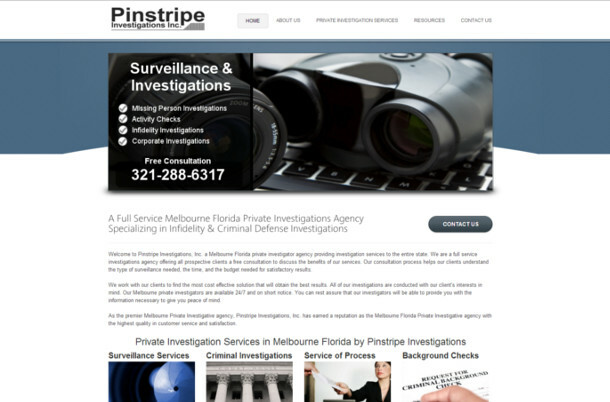 We were able to setup Pinstripe Investigations with a simple 5 page website and logo design as well as a single keyword SEO plan. 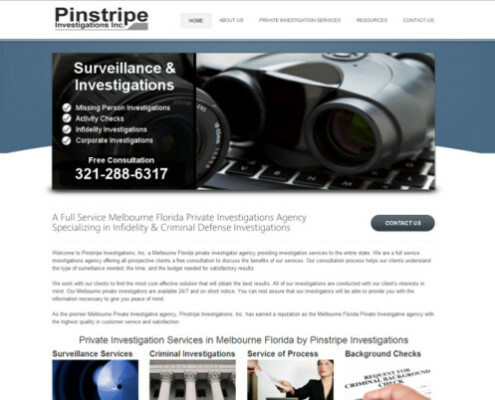 Learn more by visiting hisMelbourne Florida Private Investigations agency.